Embroidery and needlework magazines offer a wealth of inspiration and patterns to try, as well as useful information and tips so you can build your skills. Sure you'll probably have to put down your stitching for a little while as you flip through the pages (either paper or digital), but your fingers might just need the break! Read on for a list of 10 must-read embroidery publications. Stitch With the Embroiders' Guild. Boasting both traditional embroidery techniques and creative contemporary ideas, this magazine produced by the Embroiderers' Guild features workshops with top instructors. 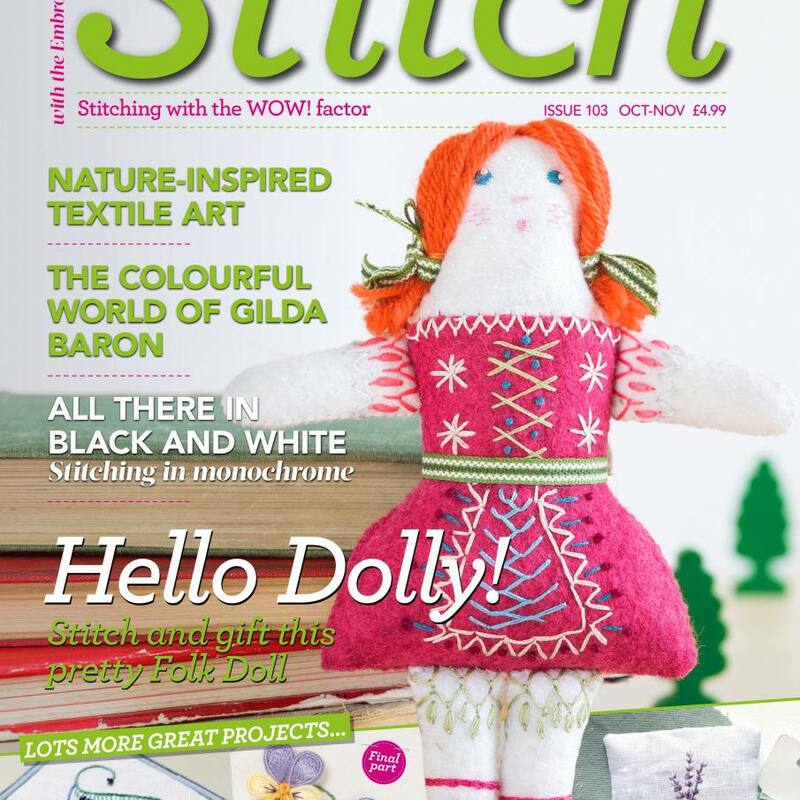 Both current and past issues of Stitch With the Embroiders' Guild are available in print and digital formats. Embroidery - The Textile Art Magazine. Also published by the Embroiderers' Guild, Embroidery - The Textile Art Magazine shares inspirational ideas and features, as well as news of embroidery shows and events. Rather than a publication showing how to make embroidered projects and patterns, this is a magazine about embroidery and the artists who stitch it. Although Mollie Makes is a magazine showcasing many different crafts, nearly every issue contains embroidery projects or patterns of some kind. Their embroidery features are typically created by popular designers or are excerpts from books, and always enjoyable. Australian Homespun is another title that isn't purely focused on embroidery and needlework, but still features embroidery on a regular basis. Often they have a pattern of the month stitch-a-long, with each design created to be part of a larger embroidered project, such as a quilt. Broderie Créative is a French embroidery magazine and is published entirely in French. But even if you don't read French, you're likely to love flipping through the pages for inspiration. The same publisher offers other embroidery periodicals as well, which you won't want to miss! If you enjoy machine embroidery, Creative Machine Embroidery offers a broad range of projects and patterns. And even if you prefer to do your stitching by hand, there is still so much inspiration in these pages. British embroidery artist Mary Hickmott started this magazine in 1992 and published over 250 issues. New Stitches featured a variety of embroidery styles and techniques in each issue. Although it is no longer published, used back issues may still be found online, and digital issues are also available for download.